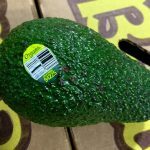 Henry Avocado Corporation has recalled its California-grown whole avocados because the fruits may be contaminated with the pathogen, Listeria monocytogenes. The recalled avocados were sold in bulk at retail stores. The company issued the avocado recall after routine environmental sampling of its California packing facility tested positive for the presence Listeria. Listeria is a type of bacteria that can cause serious and sometimes fatal infections in young children, frail or elderly people, and others with weakened immune systems. Although healthy individuals may suffer only short-term symptoms such as high fever, severe headache, stiffness, nausea, abdominal pain and diarrhea, Listeria infection can cause miscarriages and stillbirths among pregnant women. Avocados subject to the recall include California-grown conventional and organic avocados packed at Henry Avocado’s packing facility in California and distributed in the states of Arizona, California, Florida, New Hampshire, North Carolina, and Wisconsin. According to the company press release, all avocado shipments from the California packing facility are subject to the recall. The company further indicated that avocados imported from Mexico are not subject to the recall. 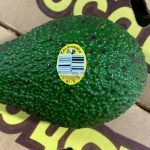 Consumers can identify the recalled convectional avocados (non-organic) by the “Bravocado” stickers; however, Henry Avocado organic avocados do not carry the “Bravocado” label on the sticker. Instead those products are labeled “organic” and include “California” on the sticker. Retailers can identify Henry Avocado organic products by the bar code on the stickers. Henry Avocado is contacting all affected customers to confirm that the recalled products are immediately removed from store shelves. Consumers should not eat the recalled avocados, and are urged to discard the product or return the product to the place of purchase. The NJ Personal Injury Lawyers at Weinberg Law Firm represent victims of Listeria infection (listeriosis). If you or a loved one are diagnosed with listeriosis, are awaiting medical confirmation of infection, or have a question regarding your legal rights, you can request a free legal case evaluation by calling our law firm toll free at 1-877-934-6274. Our phones are answered 24/7. You can also submit the easy-to–use free legal case evaluation form found on this page.